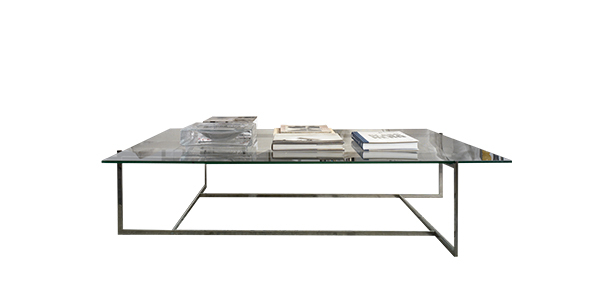 The table collection C-table is a clear wink of complicity for all those belonging to the idolized german Bauhaus school. The thin structure in stainless metal confers a modern look, whatever the finish of the glass applied may be. Available in numerous sizes, with rectangular or square shape, it can be used as front table or as side table next to the sofa.